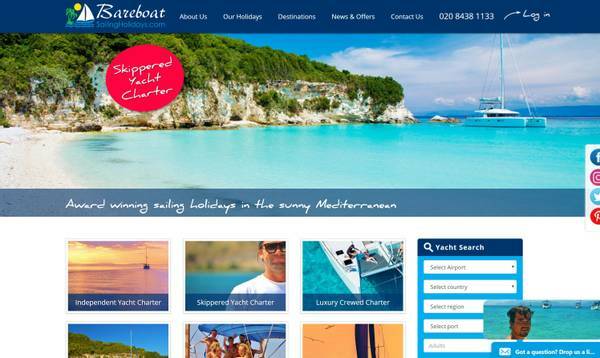 Following a change to their backoffice system, Bareboat Sailing Holidays needed to change their website and bring it up to date. They needed more control over the content and more flexibility to manage the non-product pages. Mr Zen developed the existing tempate we had used for their Flotilla business and built in a custom Yacht Search integrated with their new back office system. "The challenge here was to create a search function using their brand New API - we worked closely with the third party supplier to create a robust and cost effective solution"